Welcome to Through Your Window! 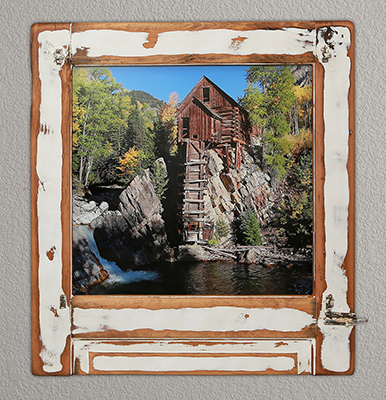 Restored and refurbished antique window photo frames that will add fine art and purpose to your space. What we see through our window is something beautiful and allows time to forever stand still. We also see endless possibilities and adventures calling for us. 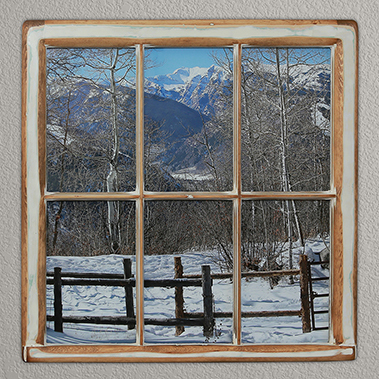 Browse the Through Your Window galleries for art that will inspire you each day! 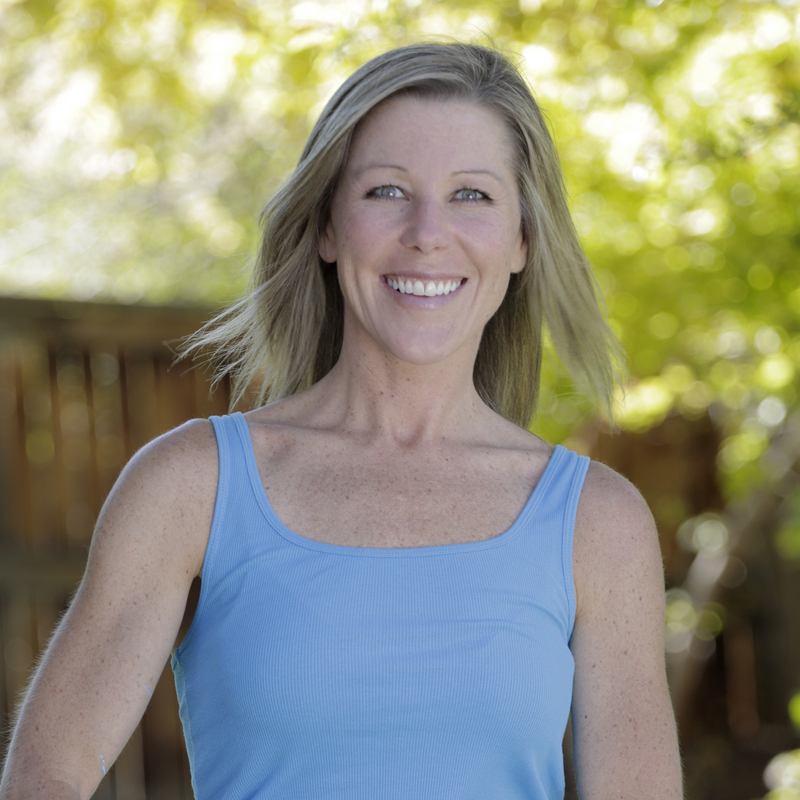 Have a look at Jaime Leigh's window frame photo journey! When I sit at my desk in my office and stare out my window, honestly, I’m looking at the other houses in the neighborhood! However, I do get the chance to see the bountiful trees changing from season to season. I get to see the rain, the snow, the flowers, wind-blowing leaves or the wonderful blue sky and big puffy white clouds with the sun shining through. No matter what season it is, when I look out my window I experience beauty, life and change before my eyes, a true photo vista. Not everyone has the opportunity to look out a window in their office or living space. If you could choose anything to look at ‘through your window’ what would it be? For some people looking at water makes them feel at peace or maybe it makes them want to skip rocks or go fishing. For other people, looking at the mountains makes them want to go hiking or skiing. 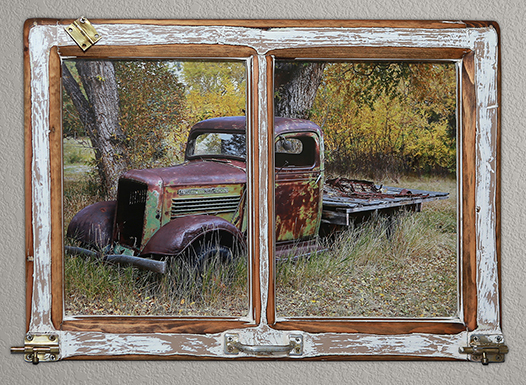 Or maybe for some people looking at an old truck or flowers reminds them of spending time with their grandparents. If it resonates with you or brings about great memories, or inspires you to do something - then why not look at it every day ‘through your window’? 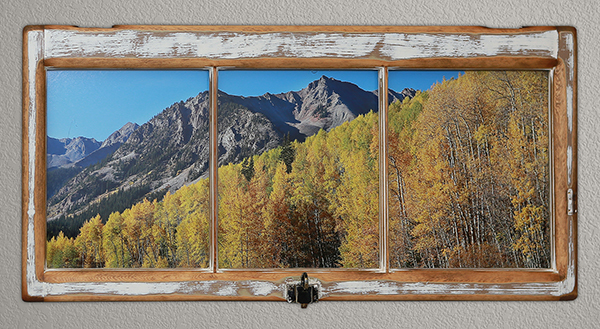 All of the window pane frames are one-of-a-kind. They are not standard size window frames. The fine art watercolor prints are made specifically to fit each frame. 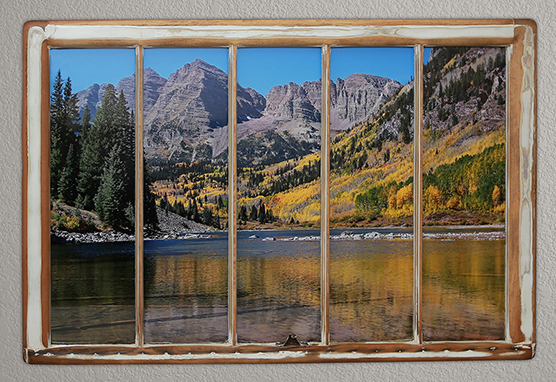 You will be purchasing a truly unique piece of photo art, as the window photo frames are restored and hand-finished, by me! No two frames are alike, even if the image is the same, the size, frame and refurbishing will always be your original art. Salvador Dali once said, "A true artist is not one who is inspired, but one who inspires others." Thank you for visiting! Have fun browsing through the Photo Art Galleries.